Once worth at least $55 billion, India’s Anil Ambani has about a day to piece together $80 million to settle long-pending dues with a vendor or go to prison. The tycoon’s heavily indebted telecom business had promised to pay the local unit of Ericsson AB about Rs 5.5 billion ($80 million) for past maintenance services. The repeated failure to comply and Ambani’s personal guarantee landed him in trouble last month, with the nation’s top court holding him in contempt. His companies suffered a setback last week after a lower court refused to free up tax refunds withheld by lenders. 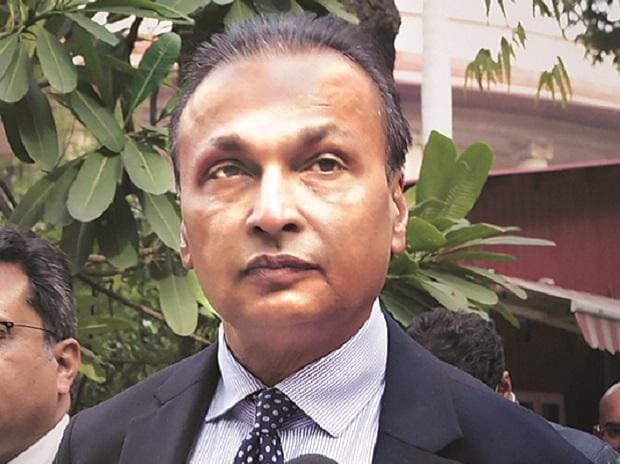 In court arguments, the lawyer representing Ambani’s telecom carrier Reliance Communications Ltd., or RCom, said the group firms have no money to settle, unless lenders released 2.6 billion rupees of tax refunds -- a proposal opposed by the banks. The National Company Law Appellate Tribunal, in a ruling March 15, said it can’t direct banks to release the amount.